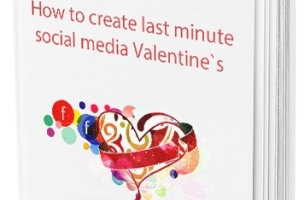 Once the last play is run in Super Bowl XLVIII, Valentine’s Day is the next big day on tap, and Facebook application creator FenixApps prepared a free eBook to help page administrators play Cupid. The eBook contains tips on things Facebook page admins can do to prepare for Valentine’s Day, including changing their cover images and profile pictures, as well as relevant content and apps they can add to their pages. Page admins: What are your plans for Valentine’s Day?